One of the most striking aspects of Thomas Levin’s recent translation of Kracauer’s Weimar essays is its inclusion of photographic material from the 1920s and early 1930s which typifies the ‘new photography’ associated with the Neue Sachlichkeit movement. (1) Kracauer’s 1927 essay on photography, published in the Frankfurter Zeitung some four months after ‘Das Ornament der Masse’, (2) is accompanied in Levin’s edition by a technologically and aesthetically self-reflexive Sasha Stone photograph, which depicts photographers ostensibly photographing the photographer/viewer. 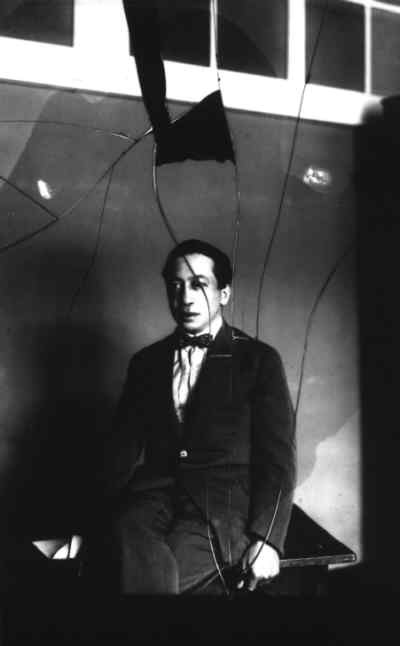 (3) Given Kracauer’s considerable interest in the mass and popular visual culture of the Weimar Republic, especially cinema, the reader of his photography essay might expect to encounter a complex and subtle disquisition on the ‘new photography’ comparable to his previous analysis of the mass ornament. (4) This expectation would be confirmed by the opening paragraph of the photography essay, where Kracauer not only dissects the image of a film star in a contemporary illustrated magazine but also compares her to a Tiller girl. But the reader’s expectancy, so seductively aroused, is soon cruelly defeated. ‘Die Photographie’ does not present us with a systematic, dialectical critique of the ‘new photography’ and its functions in the culture of distraction. This is particularly disappointing as ‘Die Photographie’ is Kracauer’s sole theoretical engagement with photography during the Weimar years. Furthermore, Kracauer never reviews or comments on any of the major publications associated with the ‘new photography’, from Moholy-Nagy’s pioneering monograph of 1925 through to Franz Roh’s fototek volumes of 1930. (5) Yet Kracauer’s response to the ‘new photography’ is disconcerting not only because it reminds us of Sherlock Holmes’s dog that failed to bark; we might also wonder why his analysis of the media image of a film star is framed by a bizarre and seemingly misplaced quotation from Grimm’s Kinder- und Hausmarchen about miraculous events in the land of Cockaigne. One–albeit enigmatic–response to that query is suggested by Kracauer’s review of Kafka’s novel Das Schlo/The Castle which, like its predecessor Der Proze/The Trial, Kracauer characterises as a stencil of a fairy-tale, ‘die Matrize eines Marchens’. (6) A less esoteric and repographic response will take us into the realms of avantgarde aesthetics, as we attempt to explicate Kracauer’s idiosyncratic essay with reference to its modernist discursive presuppositions. By the early 1920s–in western Europe and the USA, at any rate–there had developed two clearly articulated but polarised discourses on photography, namely the documentary and the fetishistic, the scientific and the magical, which betray their roots in the aesthetic theories of the 1880s and 1890s. (7) On the one hand, we have the photographer as witness, producing images of reportage which ostensibly provide empirically verified and verifiable information. On the other hand, we find the photographer as seer, using imagination to transcend empirical reality and express inner truths. Certain aspects of these artistic discourses are particularly relevant to Kracauer’s critique of photography. For much of ‘Die Photographie’, Kracauer characterises photography in Realist/Naturalist terms, in such a way as to disqualify photography from attaining artistic status. He even suggests that photographs are the representational counterpart of historicism, in that they merely record the detritus of History rather than its authentic truth-content. The mediation of truth is the prerogative of Art, but Kracauer’s conception of Art is radically anti-mimetic. Although he concedes that since the Renaissance, Art has entertained a close relationship with nature, he contends nonetheless that Art has always sought to achieve higher aims, by presenting knowledge in the medium of colour and contour. Art-works do not strive to resemble the objects they depict, nor is their configuration governed by an object’s spatial appearance. Instead, Art grasps the significance of an object and mediates that significance spatially. As a result, Art is fundamentally anti-photographic, so that if History is to be represented in Art, then the surface context associated with photography must be destroyed. In the contemporary world, however, Art has reached a turning point. Kracauer notes that the epoch of nature-based Art inaugurated by the Renaissance may be coming to an end, and he refers to three categories of contemporary Art that seek to reject natural verisimilitude. First, he mentions modern painters–presumably Cubists, Constructivists or Dadaists –who put their pictures together from photographic fragments in order to underline spatially the simultaneous coexistence of the reified appearances they represent. (8) Secondly, the works of Franz Kafka are said to be imbued by a liberated consciousness which has demolished natural realities and has disarranged or displaced the resulting fragments against one another. (9) Finally, film is credited with the capacity to transcend ‘normal’ or usual relationships between elements of nature by assembling strange or alien configurations through cutting and editing. (10) The implication would seem to be that in the contemporary world, Art can only fulfill its epistemological role by adopting the radically anti-Naturalistic representational techniques of the modernist avant-garde. This, surely, is the type of photography one associates with the avant-garde or experimental wing of Neue Sachlichkeit, or even with photomontage after Dada. At the same time, though, photographic representation is still informed by Kracauer’s broader socio-cultural agenda. This alternative mode of photography is preferred because it supposedly enables us to see the world of objects in its independence from human beings, and because it preserves images of alienated nature. Moreover, the dis-order of the detritus reflected in photography is, he suggests, best represented by suspending normal or usual relationships between the elements of nature. In other words, one might conclude, the utopian dimension of avant-garde photography consists in its ability to mirror the sheer negativity of contemporary life. And, whereas the muddle and jumble of illustrated newspapers is merely chaotic, the defamiliarised representation of natural elements and relationships is said to be redolent of the confusion of daily residues in dreams: presumably because like modernist Art, dream also ‘zerschlagt die naturliche Realitat und verstellt die Bruchstucke gegeneinander’ ‘smashes natural reality and reconfigures the fragments’, a process which dream ‘verwirklicht uberall dort, wo er Teile und Ausschnitte zu fremden Gebilden assoziiert’ ‘realises wherever it turns parts and segments into strange/alien constructs by means of association’. (13) Clearly, Kracauer rejects that tradition in photographic theory which legitimises photography in mimetic or naturalistic terms, but although his ‘positive’ alternative has some affinity with the notion of the photographer as seer, the key to his re-evaluation of the photographic lies ultimately in his attempt to synthesise the aesthetics of ‘making visible’ and ‘making strange’, bringing together the insights of Russian Futurism/Formalism and German Expressionism in the context of a general advocacy of modernist art-forms. Kracauer’s critique of photography is grounded in a series of presuppositions about aesthetics and modernity that can be traced back to his earliest published essays on artistic themes from 1920 and 1921. (14) His brilliantly succinct account of German Expressionism commends the Expressionist artist’s rejection of Naturalism and Impressionism in favor of an art form that dismisses the ontological claims of the actual world as it presents itself to us, in order instead to express directly the world’s innermost being. 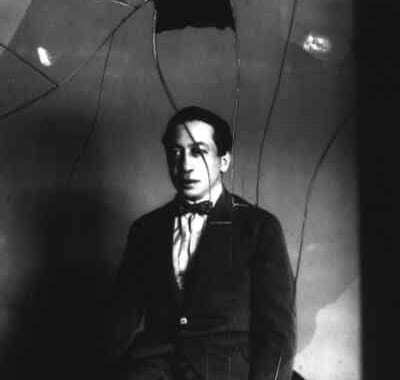 Kracauer takes the view that Expressionism shatters ‘normality’ and proclaims its visions in art forms which hardly refer to the world of the senses, suspending familiar spatial relationships and embedding fragments of our perceptions into a matrix of lines and shapes, whose structure is determined by the innermost needs of the artist. Even when recognizable objects and people do seem to emerge, their external configuration is but an empty mask that the artist removes in order to reveal the true visage. Contemporary actuality turns out to be shadowy and insubstantial, a chaos without soul or meaning, whose absurdity can only be represented in a distorted image. The metaphysical basis of the contemporary world is made even more explicit in Kracauer’s review of Lukacs’s Theorie des Romans/Theory of the Novel. Kracauer begins by expressing his own view, redolent of Nietzsche and Weber, that humanity is drastically isolated and homeless, suspended in a void, and stifled by the law-like regularities of a reality we ourselves have created which is fundamentally alien to Meaning. Indeed, the dominant characteristic of modernity is said to be a process of disintegration and decay stretching back several centuries which involves the implosion of Meaning. Turning to Lukacs’s text, Kracauer notes that the central thematics of the novel articulate the disjunction between empirical existence and the realm of immanent Meaning. Nevertheless, even though the world of immanent Meaning has been irrevocably lost, it can still be artistically mediated. The novel is able to convey those supreme moments when actuality disintegrates, its insubstantiality is made manifest, and the realm of lost Meaning suddenly bursts into light in all its glory as if from behind an impenetrable glass screen. Kracauer’s vision is significantly darker, however, when he reviews Kafka’s Das Schlo some five years later. In his essay on Lukacs, Kracauer had cited the latter’s definition of irony as the negative mysticism of godless epochs, but with Das Schlo it is as if irony has given way to terror. The world of Das Schlo is infused by the absence of truth, plunging that world into a state of Angst which is the antithesis of the fairy tale. Kracauer begins and ends his review by characterising Das Schlo as a negation or negative of a fairytale, using the stencil metaphor mentioned earlier on three occasions. (15) He explains that fairy-tales mediate truth, in that they constitute an anticipatory dream of truth’s successful invasion into the world. This invasion involves defeating the blind forces of nature, the ultimate meaning of fairy-tales being the abolition of mythology in favour of truth. As in ‘Das Ornament der Masse’, this utopian dimension of fairy-tales is bound up with the Enlightenment project, a point reinforced when Kracauer observes that the fairy-tale explodes the seemingly irrevocable natural order of things in order to put them in their right place–which is not the one ordained by nature. (16) These notions recur in the photography essay, not only in the reference to the land of Cockaigne which introduces the essay, but also in his invocation towards the end of the essay of an ‘authentic’ way of representing contemporary realities. Nevertheless, we must remember that the world of Das Schlo embodies negativity rather than truth. Kafka’s novel is said to mediate the non-realization of truth in human history and display the distortion of a mundane life bereft of truth. Its representational techniques thus involve the suspension of normal or usual interconnections (as we also saw in the photography essay), together with the displacement of objects isolated by that process so that they show their obverse to the viewer, thereby demonstrating the inadequacy of the full-frontal perspective that had seemed to be true. Put more positively, Kafka’s novel replaces ‘normal’ everyday images and surface relationships with a mosaic of facts and reasons that utterly suppresses the cozy familiarity of actuality as given to us. Kracauer’s commentary on Das Schlo[beta] anticipates his critique of reportage in Die Angestellten/The Salaried Masses–suggesting once again the importance of aesthetic criteria in the elaboration of his sociological theory–and reinforces our sense of his modernist artistic predilections. (17) Das Schlo, in other words, seems to combine a Formalist strategy of defamiliarisation with the representational tactics of Cubism. It should be evident even from this brief discussion of Kracauer’s early writings on art that his position is complex and possibly contradictory. His representational requirements for contemporary art forms involve a Futurist/Formalist emphasis on defamiliarization of ‘normal’ interconnections and relationships which is to be achieved by adopting distorted or distorting perspectives. At the same time, his critique of mimetic depiction presupposes the categories of Expressionist aesthetics, but, as we shall see, the ontological presuppositions and artistic prescriptions associated with Expressionism are ultimately at odds with those of Futurism/Formalism. Es kamen die Kunstler der neuen Bewegung. The artists of the new movement arrived. prostitutes, screaming and hunger. Now we have their vision. through them in order to grasp what is behind them. This basic discrepancy between intensification and transcendence of perception is, I would suggest, the primary reason why Kracauer’s attempt to bring together the aesthetics of Futurism/Formalism and Expressionism is fraught with difficulties. Similarly, if we were to apply these contradictory positions to photography, then two contrasting representational practices would be implied: on the one hand, the adoption of bizarre perspective and point of view associated with the more radical exponents of Neue Sachlichkeit, and on the other the ‘painting with light’ associated with, say, Christian Schad or Man Ray. In both cases, the documentary and evidential force of photography would appear to have been forsaken, and realist art forms modelled on the traditional truth claims of photography would appear to be hopelessly anachronistic and irredeemably flawed. facade in its work of deception by reproducing that facade. Adorno advocates a mode of novelistic composition whose fundamental aim is realist and demystificatory, lifting the veil of reification so as to reveal those essential societal relations that would otherwise remain hidden from view. This aim is to be achieved by breaking through the facade of surface deception in true Expressionist fashion; as Kracauer himself might have written, ‘In der asthetischen Transzendenz reflektiert sich die Entzauberung der Welt.’ ‘What is reflected in aesthetic transcendence is the disenchantment of the world’. (29) But if the facade is not to be reproduced, how is the novel’s real object–an alienated social order–to be represented? factory, but remain for all eternity a hundred views of the factory. Although he dismisses the facade of photographic reportage, Kracauer insists on the need to construct–from empirical impressions, observations and reports–a mosaic that will constitute a valid image of socio-economic realities. Crucially, whilst Kracauer endorses the modernist/Expressionist critique of Naturalistic representation, his aesthetic and epistemological alternative to ‘mere photography’ also questions Expressionist transcendence. Even in 1920, Kracauer had noted that although Expressionism was necessary, its mission had been completed, and he concludes his essay ‘Schicksalswende der Kunst’ by rejecting Expressionist abstraction. We might infer that, like Adorno, Kracauer wishes to establish a mode of realism whose underlying metaphysic draws on Expressionism, but whose representational strategies owe more to Futurism/Formalism and avant-garde montage. (32) In that respect there are intriguing parallels with two other Marxist aesthetic theorists who were exercised by problems of photographic representation after modernism, namely Brecht and Benjamin. einfache ‘Wiedergabe der Realitat’ etwas uber die Realitat aussagt. ‘reproduction of reality’ says less than ever about that reality. Benjamin’s critique of photographic representation in his Kleine Geschichte der Photographie/Short History of Photography takes as its starting point Brecht’s commentary on Krupp and AEG, (43) and cites both Brecht and Kracauer’s photography essay in its account of contemporary photographic theory and practice. By the time Benjamin’s essay appeared in 1931, the ‘new photography’ had fully established itself, and his perspective on photography differs from Kracauer’s in two main ways: he is prepared to concede a greater positive potential to the ‘new photography’, (44) and he is much more sceptical of the aesthetic categories within which photography had traditionally been located. In particular, following Brecht, Benjamin criticises the auratic view of art adhered to by photographic theorists and pays much more attention to issues of photographic technology. His positive strategy–and his more positive response to the ‘new photography’–involves assimilating Brecht’s critique of photographic realism to the artistic practices of Surrealism and Constructivism. Benjamin also rejects photographic reportage in favour of an aesthetic of ‘making strange’: the camera has the potential to produce images which shock the viewer and interrupt his/her mechanisms of association, creating a space for the incorporation of photography into what Brecht had referred to as the literarisation of all aspects of life. This brings photography into that realm of ‘complex seeing’ which all three–Kracauer, Brecht and Benjamin–by the late 1920s and early 1930s consider to be the way forward for a socially critical, avant-garde aesthetic practice, whose prime exemplar is film. (45) It is far from self-evident, however, that simply adopting filmic modes of representation can resolve the theoretical dilemmas that confronted Brecht and Kracauer in particular, and the following crucial questions remain open. How can the relative merits of two ostensibly incompatible aesthetic strategies–making visible and making strange–be combined in such a way as to take full account of the modernist/Expressionist critique of naive realism as manifested in Naturalistic representation, without losing sight of the need to make social realities perceptible in a way that avoids the pitfalls of Expressionist abstraction and transcendence? If social realities are to be made perceptible for a mass audience, how can the ‘new media’ of photography and film be harnessed to that project–or must they simply be dismissed as irredeemably mystificatory or ideological? Is there, ultimately, a third way between Adorno’s elitist but melancholic modernism and Lukacs’s fetish for a pre-modernist realism? (1.) On the ‘new photography’, see D. Mellor (ed), Germany–The New Photography 1927-33, Arts Council of Great Britain, 1978, and H.G. Vierhuff, Die Neue Sachlichkeit. Malerei und Fotografie, Koln, Dumont, 1980. (2.) S. Kracauer, ‘Die Photographie’, in Kracauer, Schriften 5.2. Aufsatze (1927-1931), Hg. I. Mulder-Bach, Frankfurt am Main, Suhrkamp, 1990, pp83-98; Unlike ‘Das Ornament der Masse’ (in Kracauer, Schriften 5.2, pp57-67), ‘Die Photographie’ has generally not received detailed and sustained critical attention, notwithstanding the major upsurge in Kracauer scholarship since his centenary year of 1989. The only exception is I. Mulder, Siegfried Kracauer –Grenzganger zwischen Theorie und Literatur. Seine fruhen Schriften 1913-1933, Stuttgart, Metzler, 1985 (pp72-77, 96-101), which does not engage with the aesthetic presuppositions that underpin ‘Die Photographie’. (3.) Kracauer, The Mass Ornament, op. cit., p46. (4.) See S. Giles, ‘Cracking the Cultural Code. Methodological Reflections on Kracauer’s “The Mass Ornament”‘, Radical Philosophy, 99, Jan/Feb (2001): 31-39. (5.) See L. Moholy-Nagy, Malerei–Photographie–Film, Munchen, Bauhaus, 1925, and A. Biermann, Sechzig Fotos, Fototek Bd.2, Hg. F. Roh, Berlin, 1930. (6.) Kracauer, ‘Das Schlo[beta]. Zu Franz Kafkas NachlaBroman’, in Kracauer, Schriften 5.1. Aufsatze (1915-1926), Hg. I. Mulder-Bach, Frankfurt am Main, Suhrkamp, 1990, p390. (7.) See S. Sekula, ‘On the Invention of Photographic Meaning’, in V. Burgin (ed), Thinking Photography, London, Macmillan, 1982, pp84-109. On the rather different approaches to photography in the Soviet Union, see S. Watney, ‘Making Strange: The Shattered Mirror’, in Burgin, op. cit., pp154-76. (8.) Kracauer, ‘Die Photographie’, op. cit., p88. (12.) Kracauer, The Mass Ornament, op. cit., p62. (13.) Kracauer, ‘Die Photographie’, op. cit., p97; The Mass Ornament, op. cit., p62, translation modified. (14.) See, for example, Kracauer, ‘Schicksalswende der Kunst’, Schriften 5.1, pp72-78, and ‘Georg von Lukacs’ Romantheorie’, Schriften 5.1: 117-123. (15.) Kracauer, ‘Das Schlo[beta]’, pp390, 392. (17.) Kracauer, Die Angestellten. Aus dem neuesten Deutschland, Frankfurt am Main, Suhrkamp, 1971; first published in book form 1930. Kracauer, The Salaried Masses. Duty and Distraction in Weimar Germany, Q. Hoare (trans), London, Verso, 1998. (18.) A. Holz, ‘Die Kunst. Ihr Wesen und ihre Gesetze’, in T. Meyer (Hg), Theorie des Naturalismus, Stuttgart, Reclam, 1974, p174. (19.) Reproduced in C. Grey, The Russian Experiment in Art 1863-1922, London, Thames and Hudson, 1990, p242; as the facing page in Grey suggests, the only answer to White on White is Alexander Rodchenko’s Black on Black (ibid., p243). On Malevich’s aesthetic theory, see J. E. Bowlt (ed), Russian Art of the Avant-Garde. Theory and Criticism, London, Thames and Hudson, 1991, pp116-35. (21.) On the Futurist antecedents of Formalism, see V. Erlich, Russischer Formalismus, Frankfurt am Main, Suhrkamp, 1973, pp46-57. The Futurist roots of Shklovski’s Formalism are clearly indicated by the fact that the conception of language deployed in ‘Kunst als Verfahren’ is first developed in his Futurist essay of 1914, ‘The Resurrection of the Word’, in S. Bann and J. Bowlt (eds), Russian Formalism, Edinburgh, Scottish Academic Press, 1973, pp41-47. (22.) V. Sklovskij, ‘Die Kunst als Verfahren’, in J. Striedter (Hg), Russischer Formalismus. Texte zur allgemeinen Literaturtheorie und zur Theorie der Prosa, Munchen, Fink, 1981, p13. (24.) K. Edschmid, ‘Uber den dichterischen Expressionismus’, in O. F. Best (Hg), Theorie des Expressionismus, Stuttgart, Reclam, 1976, p56. (28.) T.W. Adorno, ‘Standort des Erzahlers im zeitgenossischen Roman’, in Adorno, Noten zur Literatur I, Frankfurt am Main, Suhrkamp, 1971, p64. Interestingly, Adorno’s use of the term ‘luckenlos’ (without any gaps) to characterize the impermeable nature of the inauthentic surface of social life is anticipated in ‘Die Photographie’. There, Kracauer describes the photographic image of the diva as ‘eine luckenlose Erscheinung’ (p83) and contrasts photography with the ‘luckenhaft’ (full of gaps) record of memory (p85). Both Kracauer and Adorno imply that authentic artistic representation must be syncopated or fissured. (30.) Kracauer, Die Angestellten, p16. (31.) Kracauer, The Salaried Masses [White Collar Workers], p32, translation modified. (32.) On montage as a core aesthetic feature of avant-garde texts, see P. Burger, Theorie der Avantgarde, Frankfurt am Main, Suhrkamp, 1982, pp97-108. (33.) Brecht, Der Dreigroschenproze[beta]. Ein soziologisches Experiment, in Brecht, Werke, GroBe kommentierte Berliner und Frankfurter Ausgabe, Hg. W. Hecht, J. Knopf, W. Mittenzwei, K-D. Muller; Berlin, Aufbau; Frankfurt am Main, Suhrkamp, 1988-2000, Schriften 1. Schriften 1914-1933, Band 21, pp448-514 (p469). (34.) Brecht on Film and Radio, M. Silberman (ed and trans), London, Methuen, 2000, pp164-5. (35.) See Brecht, ‘Durch Fotografie keine Einsicht’, in Brecht, Werke, Schriften 1, pp443-44; Brecht on Film and Radio, p144. (36.) See Sternberg’s account of comments which he made in conversations with Brecht in ca 1928/29, in F. Sternberg, Der Dichter und die Ratio. Erinnerungen an Bertolt Brecht, Gottingen, Sachse und Pohl, 1963, pp14-15. (37.) For further discussion, see S. Giles, Bertolt Brecht and Critical Theory. Marxism, Modernity and the ‘Threepenny’ Lawsuit, Berne, Peter Lang, 1998, pp175-77. (38.) See Brecht, Der Dreigroschenproze[beta], p460, and Giles, Bertolt Brecht and Critical Theory, p74. (39.) Brecht, ‘Kurze Beschreibung einer neuen Technik der Schauspielkunst, die einen Verfremdungseffekt hervorbringt’, in Brecht, Werke, Schriften 2. Schriften 1933-42, Band 22, pp641-59 (p646). (40.) Brecht on Theatre. The Development of an Aesthetic, J. Willett (ed and trans), London, Methuen, 1982, p139, translation modified. (41.) Brecht, ‘Kurze Beschreibung einer neuen Technik der Schauspielkunst’, p653. (42.) Brecht on Theatre, p143, translation modified. (43.) W. Benjamin, Kleine Geschichte der Photographie, in Benjamin, Gesammelte Schriften, Hg. R. Tiedemann, H. Schweppenhauser, Frankfurt am Main, Suhrkamp, 1989, Band II:1, pp368-85. In some quarters this essay is best known for its Brechtian critique (deriving directly from Der Dreigroschenproze[beta]) of the photography of Neue Sachlichkeit (Benjamin, ibid., pp383-4), a critique which also plays a crucial role in Benjamin’s theory of the avant-garde in ‘Der Autor als Produzent’ in Benjamin, Versuche uber Brecht, Hg. R. Tiedemann, Frankfurt aM, Suhrkamp, 1978, pp101-119. For further discussion of Benjamin’s indebtedness to Brecht in this regard, see Giles, Bertolt Brecht and Critical Theory, pp133-36. (44.) See Benjamin, Kleine Geschichte der Photographie, pp382-33. (45.) For further discussion of these issues in relation to Brecht and Benjamin, see Giles, Bertolt Brecht and Critical Theory, pp140-58. Posted in Essays, Other and tagged Kracauer.